An SEO audit can increase profits, decrease costs and create a solid foundation for future growth. The aim of a website review is to improve rankings, increase targeted traffic and increase leads and sales. 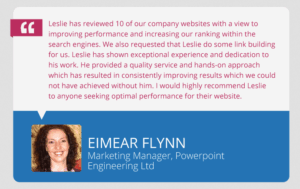 1 Why do an SEO Review of Your Website? 2 What to Expect from a Great Audit? 3 What’s Included in the Website Audit? 4 Does Google Recommend an SEO Audit? 5 What About a FREE SEO Audit? 7 Do You Use Tools? Why do an SEO Review of Your Website? The purpose is to find all the technical problems that prevent ranking higher in Google and cause issues for visitors. 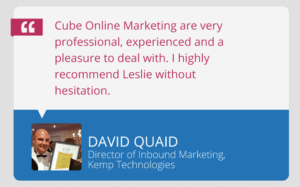 Our website review lets you know exactly where you are right now, and what you need to grow your business online. Your website needs to be in the top five search results – 6 to 10 is no longer good enough. We audit all new client websites. Every site we have worked on has had errors limiting its performance in search. It is always a great idea to have a website audit completed before starting a link building or content marketing campaign. We have never been contacted by anyone who just said: “now is a good time to get a technical SEO audit”. Every audit is the result of traffic drops, new marketing plans, new design or new websites, lower conversion rates or stagnation – it’s because there is a problem. As well as digging in to find these problems, we list possible solutions in detail and let you know the time frame for expecting results after implementation. What to Expect from a Great Audit? We promise not to bore you to death with a 100-page report that is impossible to understand. We stay away from jargon and write in plain, easy to understand English. Reports typically run from 10 to 20 pages, depending on the problems we find and the size of the website. The report will list all problems in order of importance and highlight the areas where the biggest gains can be expected quickly. Included is a follow-up phone or Skype conversation, where we will have an hour to talk through all the issues highlighted in the review. We aim to have your website audits sent to you within 7 working days. What’s Included in the Website Audit? The following list is not comprehensive – we discover new types of problems on an ongoing basis. Page headings – H1, H2, etc. Does Google Recommend an SEO Audit? Yes. It is often thought that Google does not recommend SEO, but they highly recommend on-site SEO. See 3:50 in the video below, (the whole video is worth watching). What About a FREE SEO Audit? Free SEO audits are worthless to you – they have worth to the agency as a lead generation tool. I would rather just bypass your disappointment from that type of report and talk about real website reviews. It’s very important that we have access to Google Search Console, Google Analytics and Bing Webmaster Tools, (if you have Bing – good, but it is not as important as GSC). We will need access for about a week. Click through rates are now shown in GSC and this can give you the quickest return on investment. I find this question a bit odd, but it is asked a lot. Yes, we use quite a few SEO tools. Spider tools: Spider tools pull information from your website and present it in a way that is easier to analyse and understand patterns. Backlink tools: Backlink tools are all third party tools that scrape the web similar to Google. Content checking: Duplicate content is often an issue and we check it in bulk. And of course, we pull data from Google using their API for Analytics and Search Console and combine it with the crawled data. The most common SEO problems we come across are content problems. These problems range from empty pages left after a redesign or designing a completely new website. Many websites are built using templated themes. To make life easier for designers, the themes often come with content to show the ability of the template. Sometimes this data is left on the website and Google finds it and indexes content that is on many other sites. Duplicate pages are very common. A client recently duplicated their whole site simply by allowing the indexing of pages with and without the trailing slash. We doubled the traffic to a national brand in Ireland after no indexing all PDFs. The content on the PDFs was the same as each page. Thin and low quality content is common. (low word count is often an indicator, but when we combine that data with impression and clicks from Google Search Console, we see the full picture). An SEO audit is not a full content analysis, but there is enough data from it to identify pages that have content-related problems. Contact us to arrange your SEO audit. See this page for content audits.